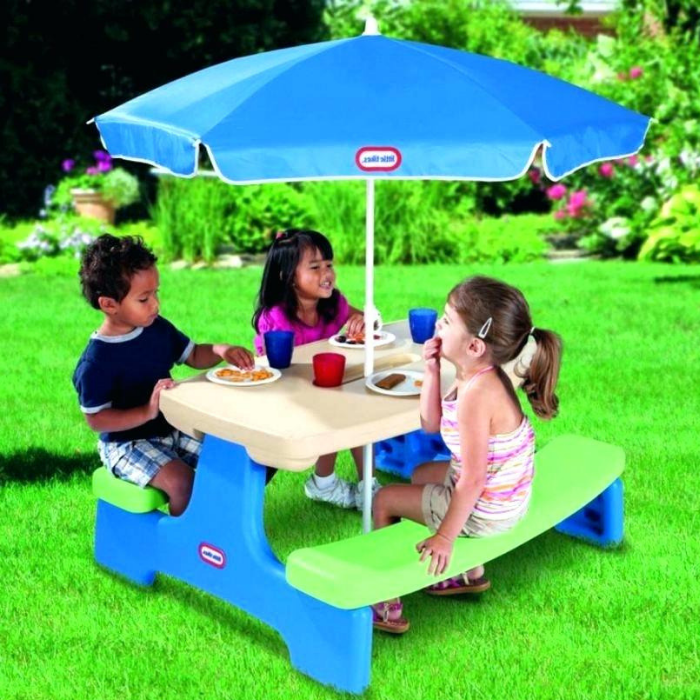 Little Tikes Picnic Table Just $49.49! Down From $90! PLUS FREE Shipping! You are here: Home / Great Deals / Amazon Deals / Little Tikes Picnic Table Just $49.49! Down From $90! PLUS FREE Shipping! At Amazon, you can score this Little Tikes Picnic Tablet With Umbrella for just $49.49 down from $89.99 PLUS FREE shipping! This kids picnic table with umbrella is just the right size for toddlers. The portable design requires no tools – just fold and go. Our children’s picnic tables are built with legendary Little Tikes quality, and wipe clean easily.